Turbulence on a plane can be frightening for kids. 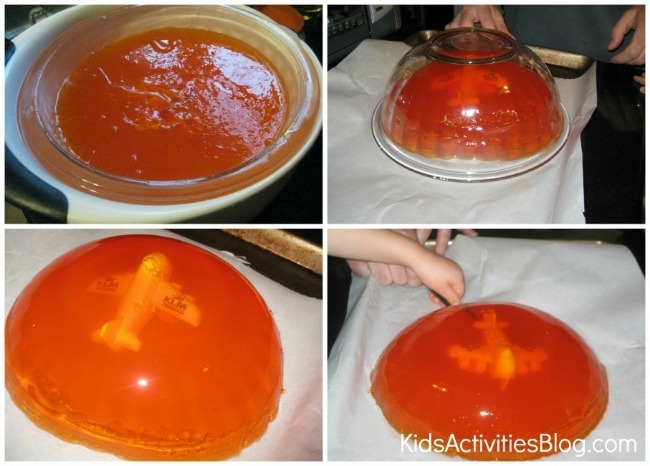 Before their next flight, show them this great demonstration with Jello to help calm their fear of flying. 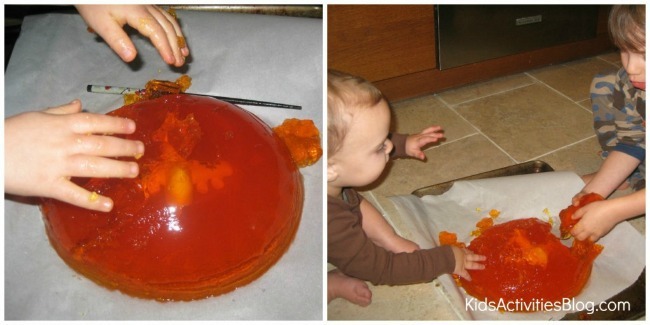 Kids Activities Blog always loves science experiments that involve food! After 9/11/01, I developed a fear of flying. In trying to overcome it, I enrolled in a course called SOAR created by Captain Tom Bunn, a pilot and licensed therapist. The program covers every aspect of flying, from noises to backup systems to turbulence on a plane. Although turbulence was not what was causing my fear, the imagery Captain Tom used in his program always stuck with me. At very high speeds, Captain Tom explains, air becomes very thick. In order to visualize this (since we can't see air), he advises to imagine a small airplane sitting in the middle of a bowl of Jello. If you want to see how the airplane would move through this thick air, he suggests picturing skewers pushing the plane forward. If you tilt the nose of the plane up, the plane will go upwards. If you tilt it down, the plane will move downwards. To understand turbulence, imagine tapping on the top of the Jello. The plane will bounce up and down, but it cannot fall “ in fact, it barely moves at all. We went to the grocery store and purchased four boxes of orange Jello. We washed the toy plane and prepared two of the four boxes. Once the Jello was partially set (enough that an object wouldn't sink to the bottom), we placed the toy airplane on top. We then made the other two boxes of Jello and poured them on top. (The instructions I used were basically the same ones used to put a stapler in Jello on the show The Office. http://www.wikihow.com/Suspend-an-Object-in-Jello). This is not a quick process, so patience is a must. Once our airplane was suspended in the Jello, it was time to see if this really worked. We submerged our bowl in warm water to loosen it up a bit, then we flipped our mold out onto a baking sheet (for easier cleanup) and did our demonstration. We used a chopstick to tilt the plane up and down and even push it forward a bit. We tapped on the top of the Jello to make the plane bounce up and down. 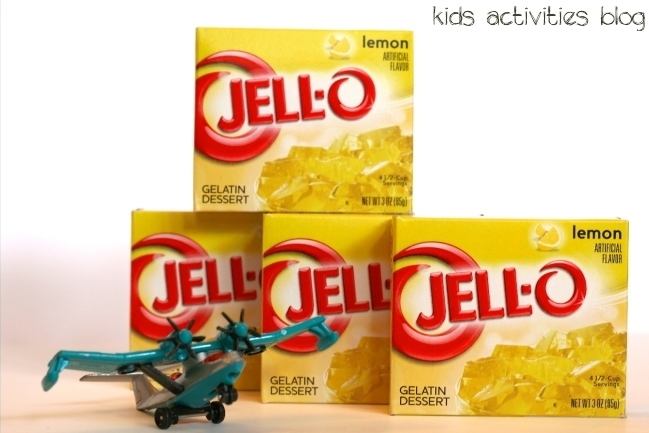 The Jello held the airplane in its place. Just as Captain Tom described it, the airplane could not fall, no matter how hard we tapped on it (or no matter how rough the turbulence seems). The demonstration was short lived, however, because once my son's hands came in contact with the Jello, he just had to get in there and play with it. So, after the physics lesson, this became an awesome sensory experience. He dove into the cold Jello with his fingers (and his mouth) and was having a blast. Our baby daughter looked on with envy, so we eventually put the baking sheet on the floor and let her have a turn as well. Most of the Jello got smushed, some got eaten, but when all was said and done, we all learned a lot. Special thanks to Captain Tom Bunn at http://www.fearofflying.com for allowing me to share this idea. To hear Captain Tom explain the Jello exercise, please check out his jello exercises. So fun and so brilliant! 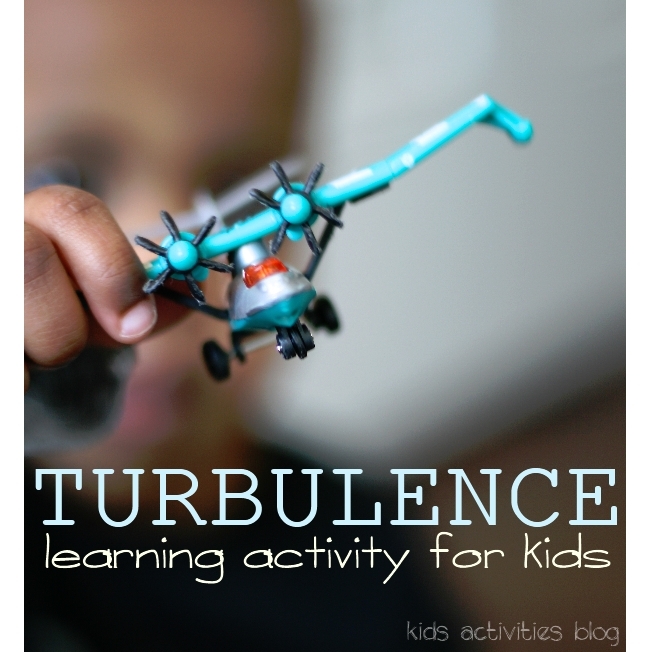 What a great way to get across the concept of turbulence! The new showcase opens up Friday midnight and runs through Thursday noon. We hope that you share more of your kid crafty educational creations. Never thought of turbulence this way! Makes me feel a little better!